Meet our Award Winning Team! Our Dog Walkers and Pet Sitters. Each area has a small team of exceptional pet carers who are the heart and sole of our business. Our Pet Carers are experienced, reliable, honest, animal lovers. Our Pet Sitters vary in qualifications and experience from being lifelong pet owners to retired Vet nurses and undergraduate Vet Students. Each small team of dog walkers are DBS checked, fully insured, can provide references, arrive at your home in an unmarked vehicle, only walk on a one-one basis or in a small socialised group. All new pet carers undergo training through our in house pet sitter award scheme in pet behaviour, nutrition, handling, first aid and much much more! 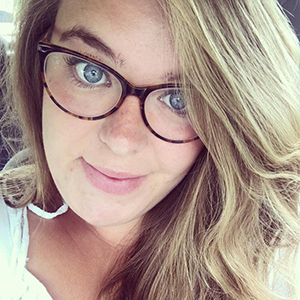 Amanda is an avid dog lover and started working for Friends for Pets when she lost her own dog and wasn’t ready to get another of her own. She can now treat all of her clients as her own. Amanda runs the Potters Bar and Hertfordshire team. 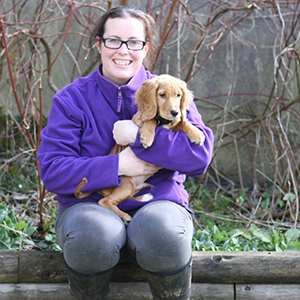 Amy joined the Friends for Pets team in 2009 after completing her National Diploma in Animal Management. Amy now manages the Cheddar, Wells and Chew Valley and North Somerset teams. Amy has had a wide variety of experience with all species of domestic animals from chickens to horses to reptiles and rodents! 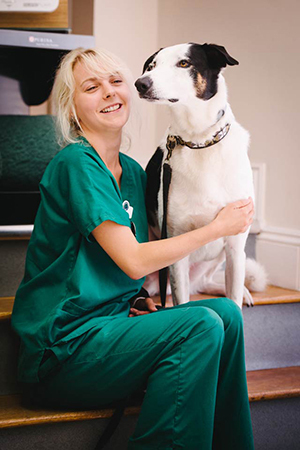 Becky used to be a student of Becca's and after completing her National Diploma with Becca, Becky went on to become a Registered Veterinary Nurse. Becky has years of experience with a range of different species and breeds and her the range of her knowledge and experience is vast! Becky helps with the Pet First Aid Courses and is also a pet carer in the Bridgwater team. Catherine joined Friends for Pets in 2015 and currently manages the Cardiff team. 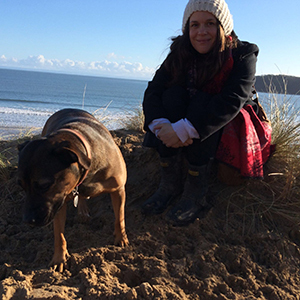 Catherine has volunteered as a dog walker for Cardiff Dogs Home and is a member of Friends for the Dogs, Wales. Catherine currently has two cats Lily and Daisy and her own rescue staff cross Tess aka ‘the bear’! Catherine enjoys regularly walks lots of the Cardiff clients dogs. Julia joined the Friends for Pets team in 2010. She currently oversees three territories of Friends for Pets and offers clients an exceptional customer service. Animals have always played an enormous part of Julia’s life and she has a vast amount of experience with a wide range of species from hamsters to horses! Julia currently has two very young children so has Alison helping to run her teams. Lucy lives in Bristol and has always been an animal lover, particularly dogs and cats. In 2016, her fur baby Maisie, the miniature dachshund joined the family who was joined by Alfie in 2018! Lucy is passionate about customer care, having worked in the legal profession for over ten years. Lucy and her team can offer dog walking, pet boarding, doggy day care, pet visits, house sitting and other services tailored to the needs of you and your pet. Tamsin lives in Penarth with her husband, three children, her dog Fred cats, chickens and guinea pigs. There has always been a menagerie of animals in her life and most of her childhood was spent on the back of a horse usually with a dog or two at her side. Dogs are her passion and she has experience of handling different breeds of all shapes and sizes. She has also recently undertaken a comprehensive Canine First Aid course and is now Manager of the Vale of Glamorgan team. Usually seen out and about in all weathers at Cosmeston Lakes or Dinas Powys woods with her adored Labrador cross Fred, who was adopted from Hope Rescue. 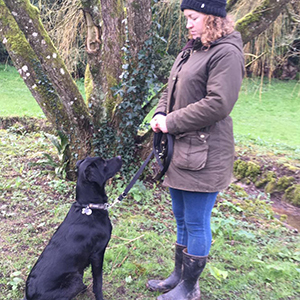 Vicki has been a dog owner for 25 years, and has lived in the Chew Valley area for 22 years. Vicki has been working as a manager in the charity sector for nearly 30 years but has always enjoyed the outdoor life, which as an alternative to sitting at desk has kept her healthy. 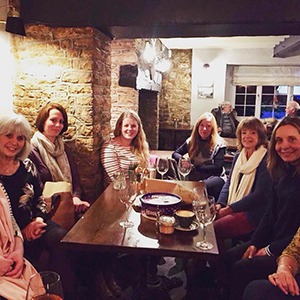 Walking dogs, riding horses and looking after various friends animals including cats, chickens and goats, Vicki has always enjoyed unpaid work with animals and is delighted to have taken over management of the Chew Valley and North Somerset Friends for Pets service. 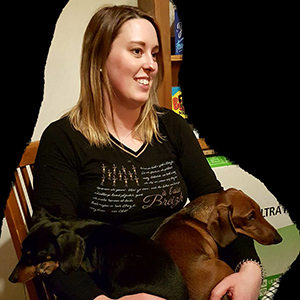 With a wealth of business and management experience and qualifications, Vicki is focused on providing high quality customer service to ensure that you and your pet receive a brilliant service. 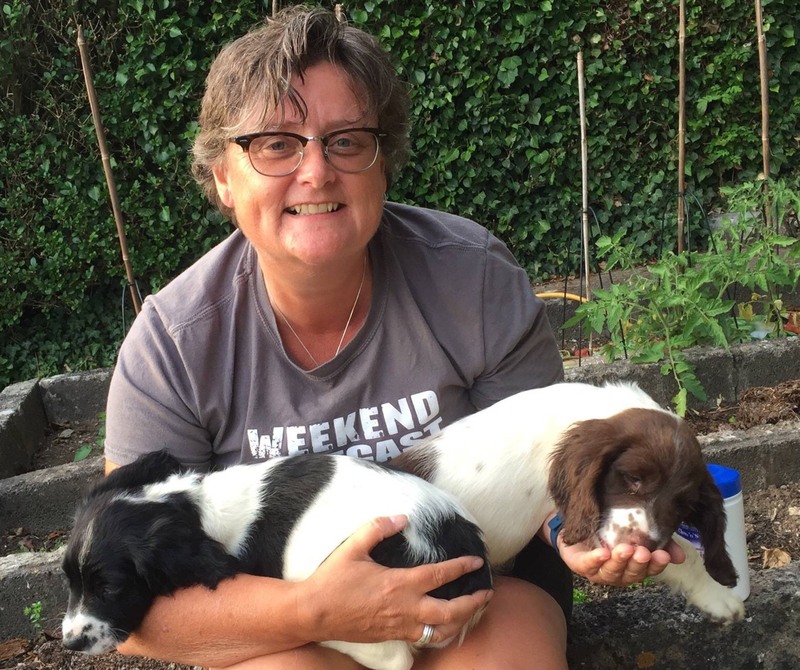 As an animal lover and owner of two Springer Spaniels, Vicki knows that trusting your pet to another person is a big decision and one which her team undertake with great care. 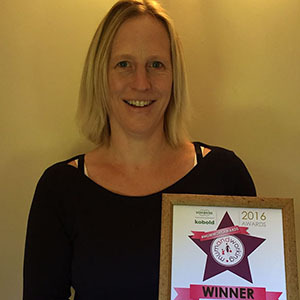 A keen environmentalist, Vicki loves the beautiful local countryside and believes we all have a responsibility to keep it clean, tidy and welcoming for all. Vicki is proud to have joined the Friends for Pets team, and to serve the pet owners of her local community. Tash is our qualified dog first aid instructor. 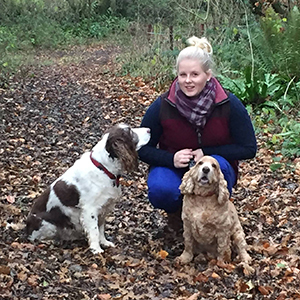 Tash has grown up around animals and had a love for them which fuelled her education; a BTEC in Applied Animal Management and then a BSc Applied Animal Management. 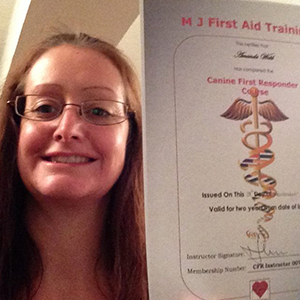 Tash joined Friends for Pets as a pet carer and then completed her Canine First Aid Responder Instructor qualification with MJ First Aid Training to become our dog first aid instructor. Tash also oversees our Team Training and Development as well as helping Becca in head office. Becca founded Friends for Pets. She grew up and lives in the Cheddar Valley of Somerset. She has two horses, Fudge and Blaze, two cats, Bob and Bella, as well as two young children to keep her busy! After completing her MSc in Animal Science, Becca worked for an International Working Animal Charity in Pakistan and Ethiopia working as an animal behaviour and welfare scientist helping with research projects and teaching Veterinary workers. Becca is also a qualified lecturer and has taught undergraduate Vet students and Further Education Animal students in the UK. Becca also assists with the writing and reviewing of Animal Welfare Policy and Law in the UK. You are now added to our mailing list. We will collect and process the information you give us when filling in forms on our website www.friendsforpets.co.uk or by correspondence with us on the phone, e-mail or otherwise. This includes information you provide to register your interest in using our services, subscribe to our newsletter, confirming a booking with us, making a job application or franchise information enquiry and when you alert us to an issue with our website or company. The information you give us may include your name, address, e-mail address and phone number. If you do not wish to provide some of this information it may make it more difficult for us to carry out a booking for you but we will do our best to help you with whatever information you feel happy providing. Website usage is collected using cookies. Information about our website users may be collected by google analytics to help us improve and optimise our site for our users. For people who go on to become pet carers, we ask for you to obtain and to show a copy of a CRB or DBS check certificate to the area manager. This is done at the final point of recruitment and the purpose is to promote the security of our client’s homes and pets that you have access to during your work with us. We do not store a copy of this, only that we have seen it and that it was positive. We ask team members to hold on to this copy themselves in case a client wishes to see it. If any discrepancies are highlighted in the CRB or DBS, pet carers will be given the opportunity to discuss and explain these. If the manager is unsure how to proceed they may discuss this in person, not via email, with Rebecca Wilson at head office but anonymising the pet carer in question. We use information you have given us to provide you with the information and services that you request from us. If you agree, we will contact you via e-mail only to send you a newsletter containing company news, changes or updates to our services, details of upcoming events and career opportunities on an infrequent basis. We use information collected from the website by cookies to personalise your repeat visit to our website. We do not share your information that we collect to third parties. All information you provide to us is stored on our secure servers. Where we have given you (or where you have chosen) a password which enables you to access certain parts of our site, you are responsible for keeping this password confidential. We ask you not to share a password with anyone. Unfortunately, the transmission of information via the internet is not completely secure. Although we will do our best to protect your personal data, we cannot guarantee the security of your data transmitted to our site; any transmission is at your own risk. Our site is secured with SSL Certificates and we review our IT security on a frequent basis to ensure that we have the latest updates and software. Once we have received your information, we will use strict procedures and security features to try to prevent unauthorised access. Your information will be removed from our day-to-day database and archived and anonymised after one year of you not using our services. We delete any excessive data. All paper documents will be disposed of securely. If you wish for us to keep your data for longer than this please let us know. We are happy to reinstate your information at any point in the future should you wish to use our services again. If any information about you or your pet changes then please let us know so we are able to update our records. We will ask you to fill in a registration form on an annual basis as a matter of routine just to ensure we have everything up to date. Your personal information can be accessed by the local franchisee or manager and Friends for Pets head office. Friends for Pets uses sub-contractors ( "pet carers" ) to carry out services for us and they will be provided with your details in case of an emergency with your pet and also so they are able to find your home to carry out your booking with us. You will have the opportunity to meet your pet carer who is carrying out a booking for you to ensure you are happy with these arrangements beforehand. If you do not wish for a pet carer to be given access to any part of your information then please let us know. In the event that we sell or buy any business or assets, we will disclose your personal data to the prospective seller or buyer of such business or assets but as late on in the process as possible. If Friends for Pets or any of it’s franchises are acquired by a third party, the personal data held by it about its customers will be one of the transferred assets. We would like to send you electronic information about company news, changes or updates to our services, details of upcoming events and career opportunities on an infrequent basis which may be of interest to you. We only use email marketing from email addresses from our staff, clients and people who have opted in to our mailing list. If you have consented to marketing you may opt-out at any time at a later date. For existing customers before May 2018, the ‘soft opt-in’ option will apply to those that have not taken up the opportunity to opt out of our mailing lists. You are given the opportunity in every newsletter to opt out of the mailing list. If you no longer wish to be contacted for information updates you can let us know at any time of click the ‘unsubscribe’ button in every newsletter. If you are not opted-in to our mailing list we will only contact you regarding a specific booking. We send our invoices via email to help save costs and the environment. The invoice contains your name and address. If you would prefer to receive the invoice in an alternate method please let us know. You have the right to ask us not to process your personal data for newsletter purposes. We will inform you (before collecting your data) if we intend to use your data for such purposes. You can exercise your right to prevent such processing by leaving ‘opt-in’ boxes un-checked on the forms we use to collect your data. You can also exercise the right at any time by contacting us at via email or writing to us using the details at the bottom of this document or clicking unsubscribe on all newsletters. Our site may, from time to time, contain links to and from the websites of our partner networks, advertisers and affiliates. If you follow a link to any of these websites, please note that these websites have their own privacy policies and that we do not accept any responsibility or liability for these policies. Please check these policies before you submit any personal data to these websites. We take the handling of people’s data very seriously so will do our very best to resolve any issue that may crop up promptly. Please contact us as soon as you can on the details at the bottom of this document. If you do not feel that we have resolved your complaint satisfactorily you have the right to lodge a complaint with the Information Commissioner’s Office.